This is the best list compiled by the community for the North American verison. Special thanks to Unicornorts. Check out the blog for cool KH Unchained X stuff. You get a rough idea of what stats each card has and their potential. Multi hits are great to gain more SP and munnies. It is also great against those monsters that require multiple hits before they die. Have questions? Ask on the forums! 235 237 Chip Add to Strength Total 5 Str 25 Str 150 Str 60%~130% Boards, etc. 238 240 Dale Add to Defense Total 5 Def 25 Def 150 Def 60%~130% Boards, etc. 241 241 Cid -1 @ 6* Cost (Max 10) 60%~130% Coli, Boards, etc. 253 255 Scrooge Attaches a Skill Common Uncommon Rare Coliseum, etc. 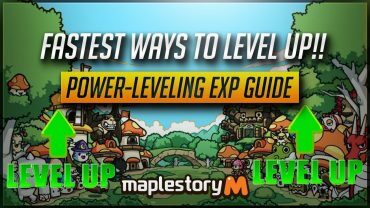 [MapleStory M] Power-Leveling Experience Guide! When will this be updated? it is currently outdated. Yes, I will get it updated when I get the information. I’ve noticed that the HD Aqua Medal isn’t listed yet. I’m hearing a bunch of mixed reviews but I’d like to see where she places before I decide to level her. Could we give information to complete this database with you? “KH3D Sora”/from 377 to 382/SP=4/Single/”N/A”/1* multi=2.80/2*multi=2.84/3*multi=2.87/4*multi=2.91/5*multi=2.98/6*multi=3.1/obtained by KH3D event/11 hi count/6* str=5067 def=5005.